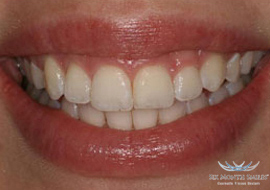 Six Month Smiles® is a short term fixed brace system that enables fast, painless and safe straightening of front teeth. 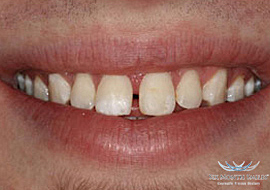 This system is designed to straighten teeth in the aesthetic zone without making any major changes to the bite. The brackets and wires are tooth-coloured and therefore it is a very aesthetic brace. Average treatment time is only six months. 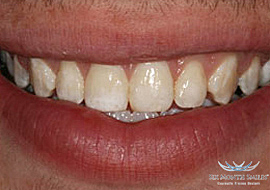 The braces are clear and barely visible unless looking closely. 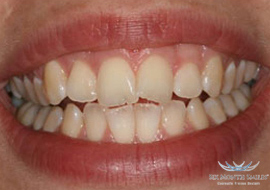 Teeth can be moved in less time than some traditional braces.